This pamphlet has been somewhere on my desk ever since I acquired it in The Last Book Sale Care Package last summer. And I finally got around to writing about it. 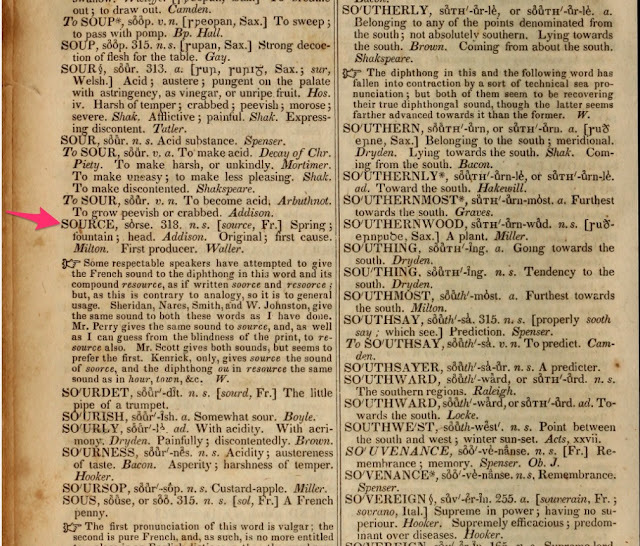 This pamphlet has led me down two paths: to exploring the "dictionary wars," and to researching the pamphlet itself. The present edition of Johnson's Dictionary seems to be entitled to a more particular notice, than the ordinary re-publication of such a work would require ; because, in point of utility, it is superior to any one hitherto published in this country ; and it is, besides, printed in stereotype, with so much accuracy, that it will probably for a long time be the only edition which will be consulted as an authority. 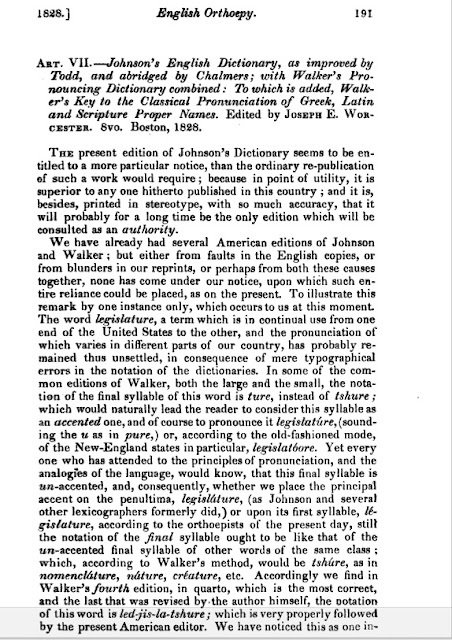 The pamphlet contains not one but two rave reviews of Johnson's Dictionary edited by Joseph E. Worcester, and first published in Boston in 1827 (some sources say 1828 because two reviews of the dictionary weren't published until September and October of 1828). 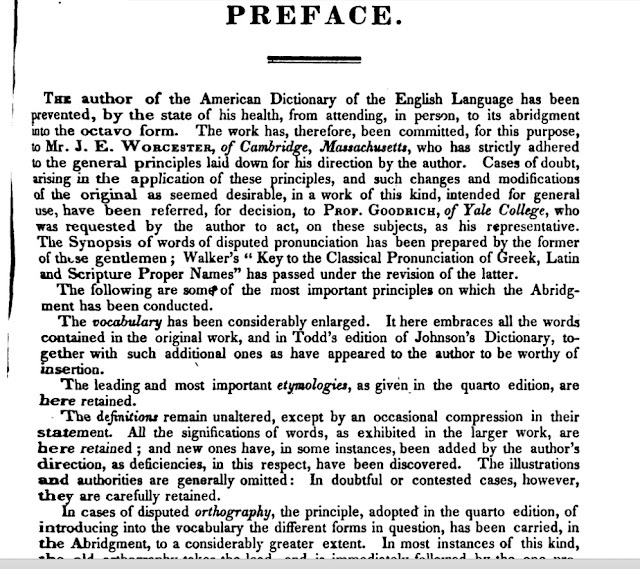 The first review is from The American Quarterly Review. And the second review is from The North American Review. 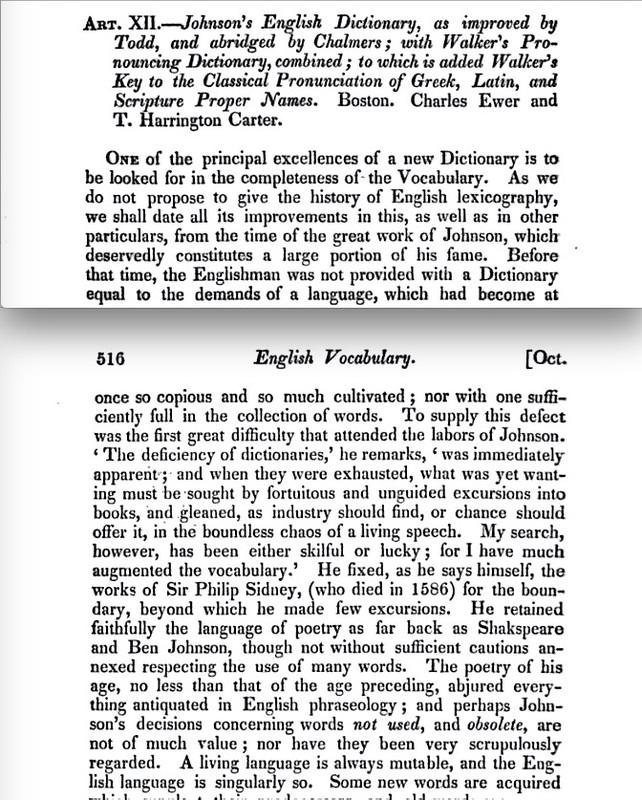 Almost one hundred and eighty-seven years after they were written, these two reviews aroused my own interests in Worcester's edition of this dictionary. And I acquired an inexpensive copy in need of repair from Barbara of New Jersey (babzguys3 on ebay). Not long after Worcester's Dictionary was published, another dictionary was published: Webster's American Dictionary of the English Language in 1828. 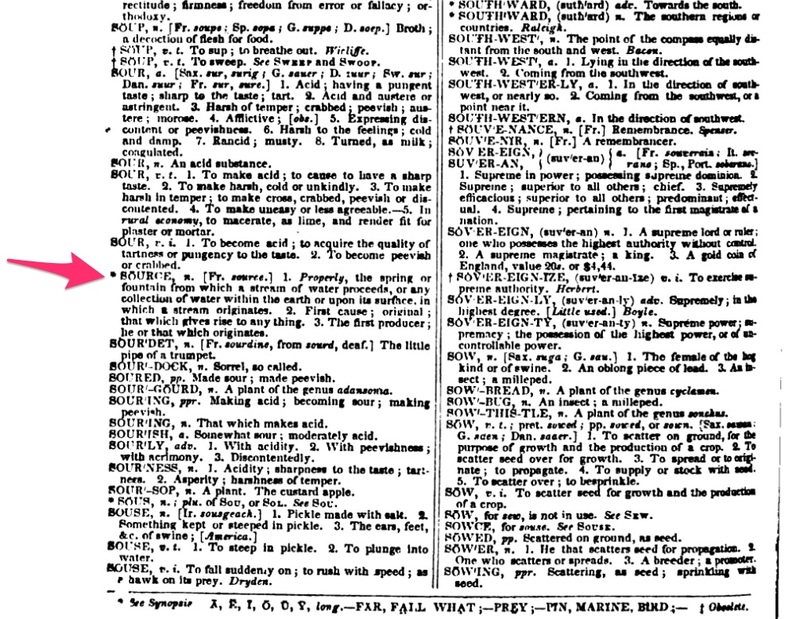 Webster's dictionary was not a money maker for its publisher, Sherman Converse. 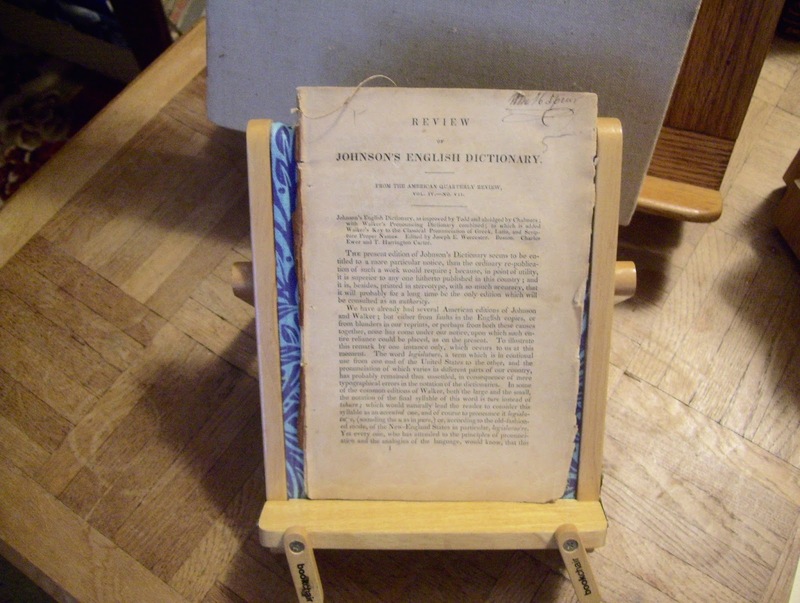 The dictionary was too expensive for the common man ($20). 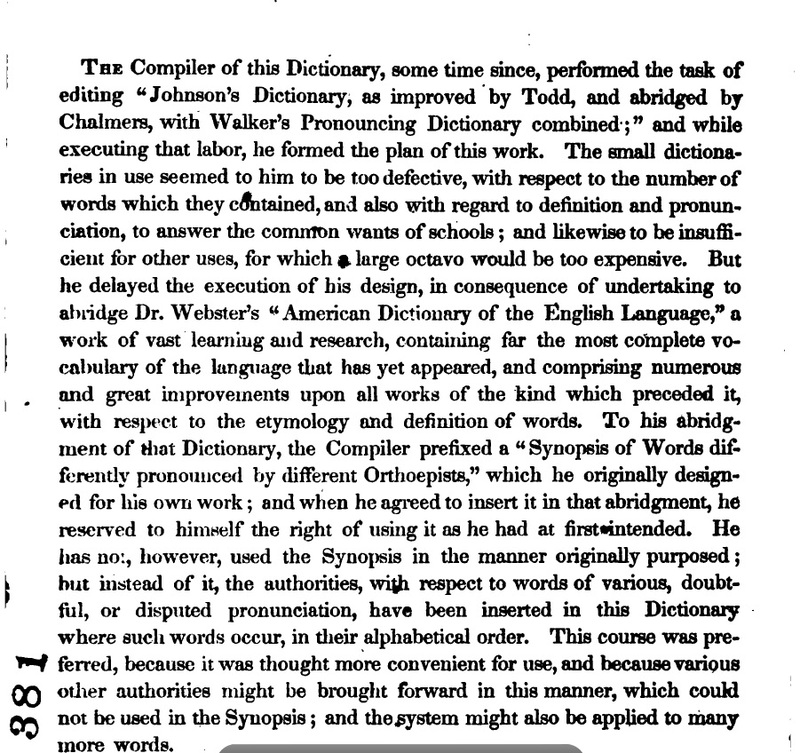 Converse wanted Webster to abridge the dictionary. 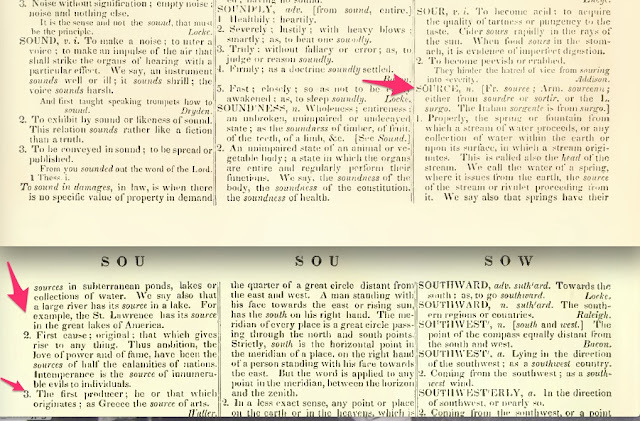 And he wanted certain changes made in orthography (spelling) that Webster was unwilling to make. Now seventy years old, Webster complained that he didn't have the stamina to complete the task. 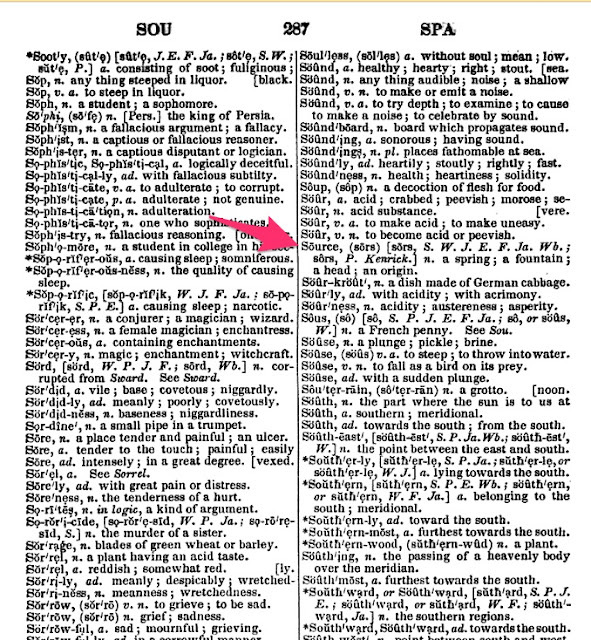 Sherman Converse had only one other person in mind to abridge Webster's dictionary: Joseph E. Worcester. 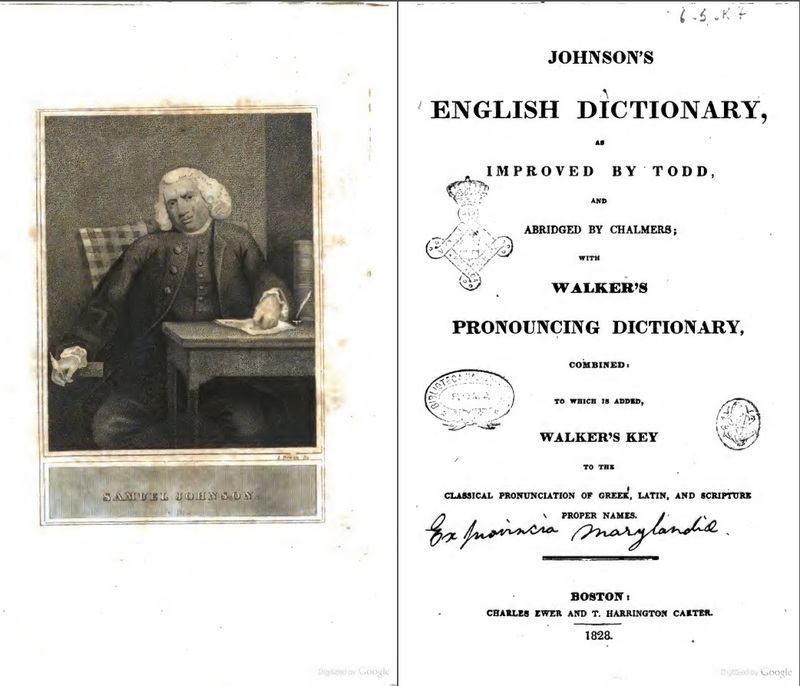 Joseph Emerson Worcester (1784-1865) was a former schoolmaster who had written several books on history and geography. His edition of Johnson's Dictionary was his first venture as a lexicographer. 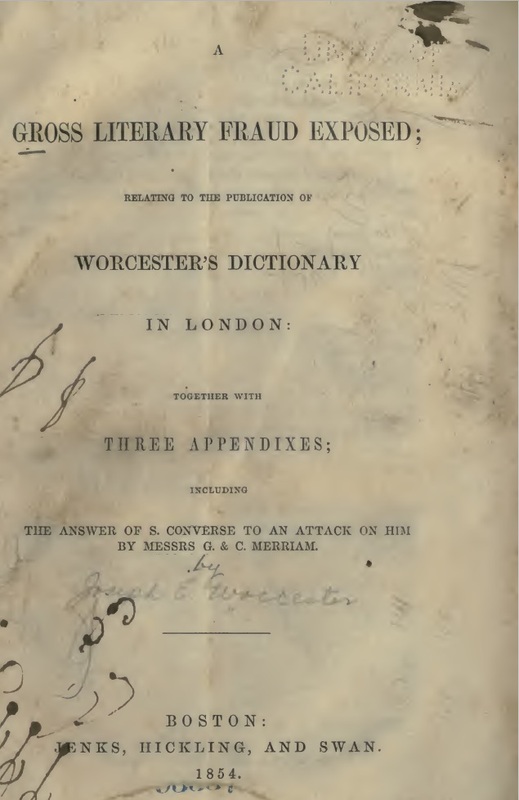 Many Americans still preferred the traditional spelling and pronunciation of words, and Worcester's edition proved quite popular. J. D. Fleeman, in his Bibliography of the Works of Samuel Johnson, recorded that Worcester's edition of Johnson's Dictionary went through 25 impressions between 1828 and 1860. 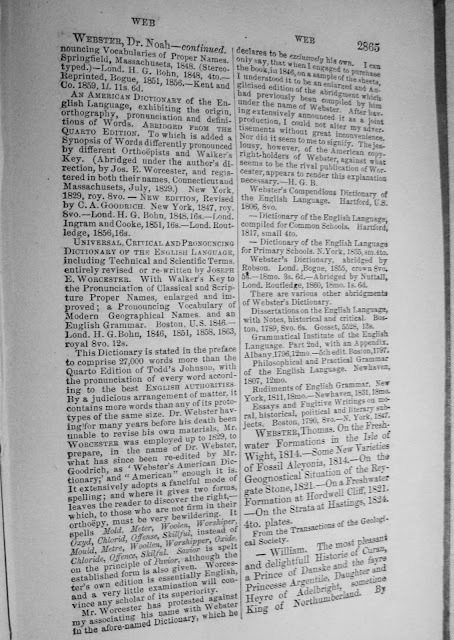 Sherman Converse wrote Worcester twice, asking him to undertake the task of abridging Webster's dictionary. 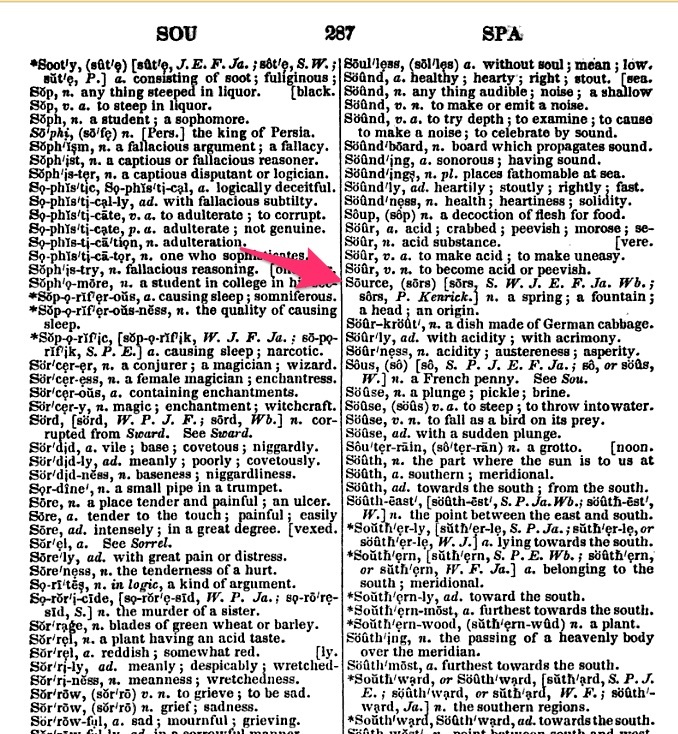 And twice Worcester declined because he was already at work compiling his own dictionary, his Comprehensive Pronouncing and Explanatory Dictionary. 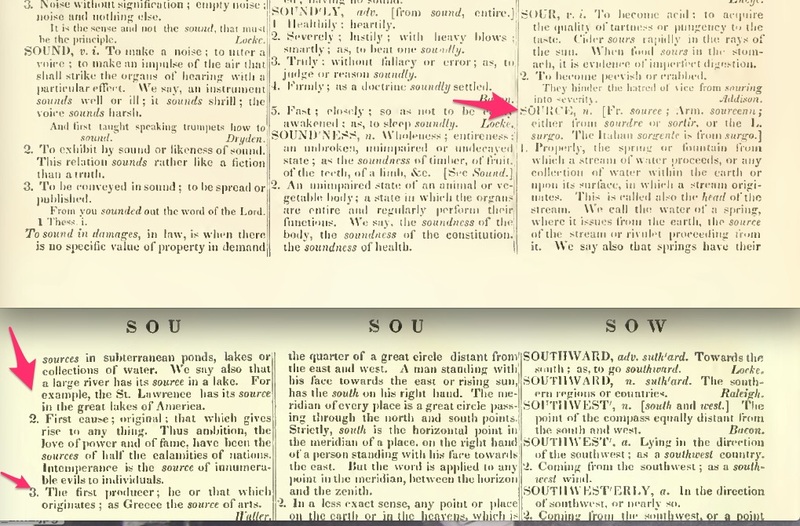 Converse then went to see Worcester in Cambridge, and convinced him to abridge Webster's dictionary, paying him $2000 for the task. Worcester was to regret that decision for the rest of his life. 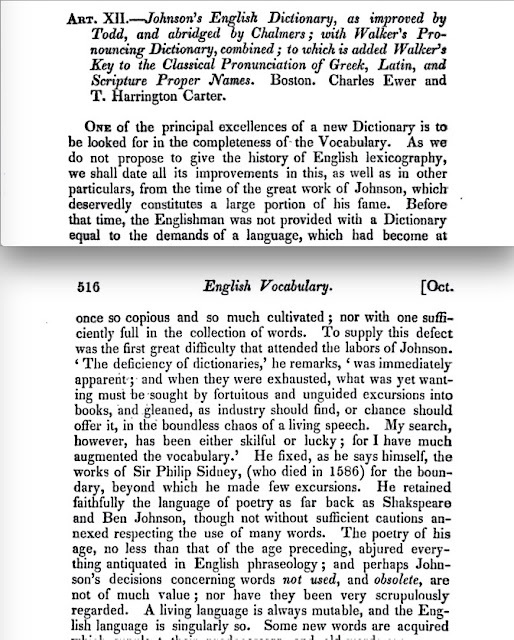 Worcester offered to include his newly-formed "Synopsis of Words Pronounced by Different Orthoëpists"—with the stipulation that he could still use the Synopsis in his own dictionary. 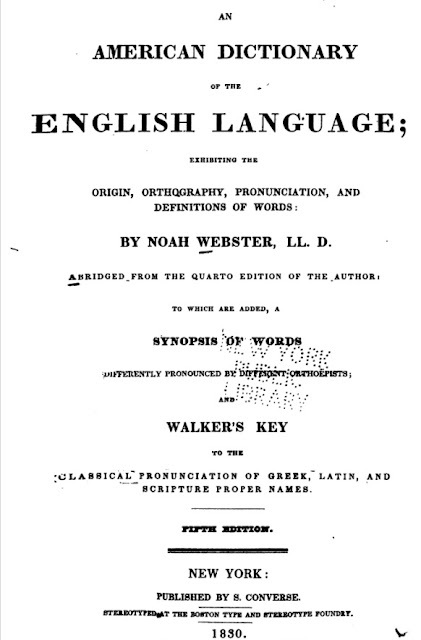 Converse was glad to include the Synopsis because Webster had refused to use any of Walker's pronunciations in his own dictionary. 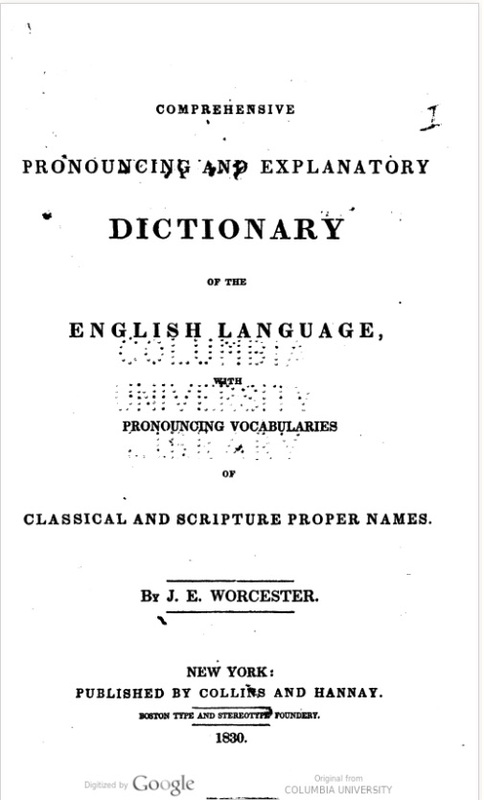 Certain other provisions were added to the contract, which were later printed in the prefaces of the 1829 abridged edition of Webster's Dictionary and Worcester's 1830 edition of his Comprehensive Pronouncing and Explanatory Dictionary. A gross plagiarism has been committed by Mr. J. E. Worcester on the literary property of Noah Webster Esq. 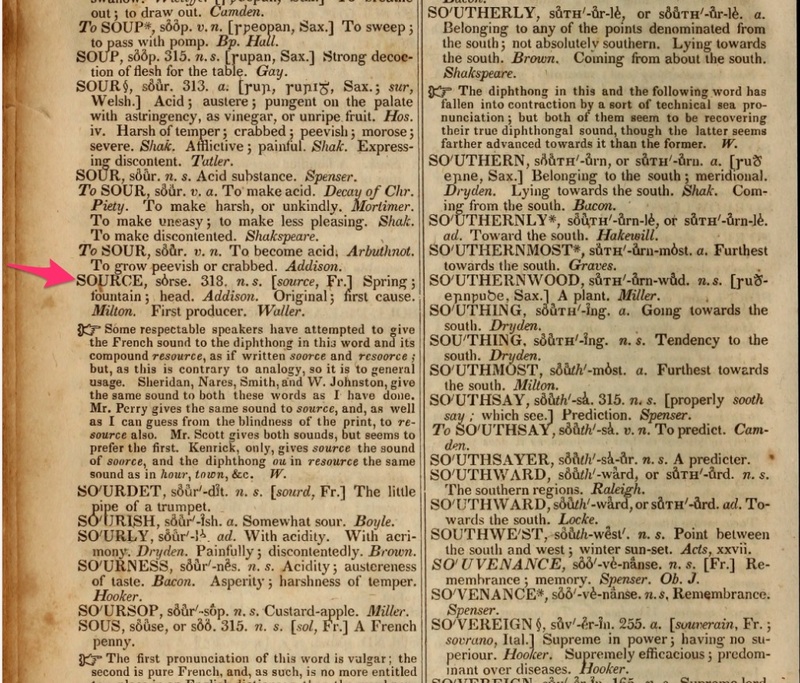 It is well known that Mr. Webster has spent a life, which is now somewhat advanced, in writing a dictionary of the English Language, which he published in 1828, in two quarto volumes. Three abridgments have since been made—one in octavo form, and two still smaller for families and primary schools. 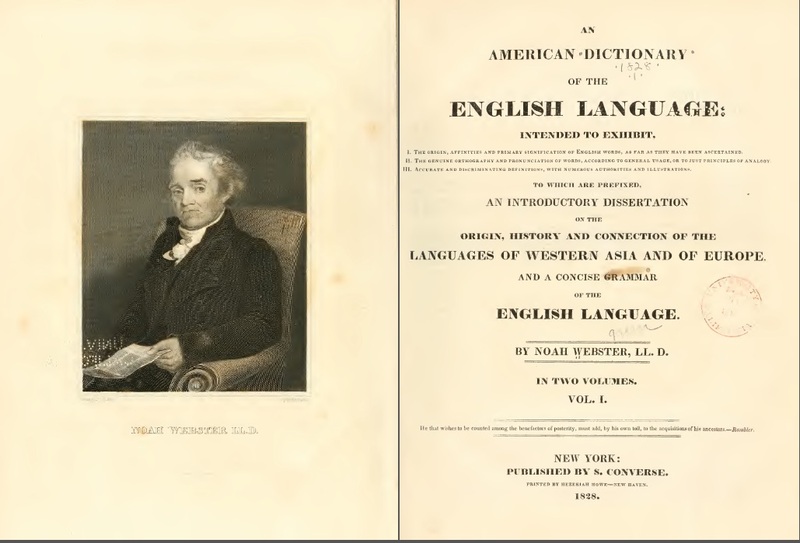 To aid in the drudgery of producing these abridgments, Mr. Webster employed Mr. Worcester, who, after becoming acquainted with Mr. Webster's plan, immediately set about appropriating to his own benefit the valuable labors, acquisitions, and productions of Mr. Webster. 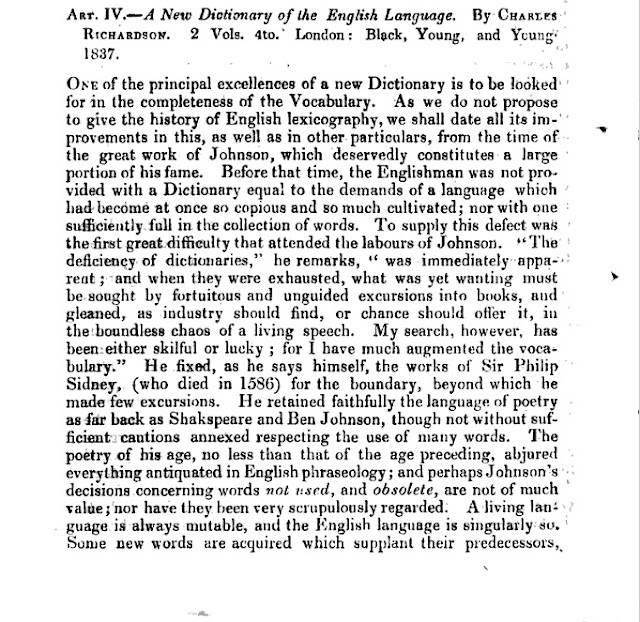 He has since published a dictionary, which is a very close imitation of Webster's, and which, we regret to learn, has been introduced into many of the primary schools of the country.... At all events, before people buy his wares, they should do well to inquire how he came by them. 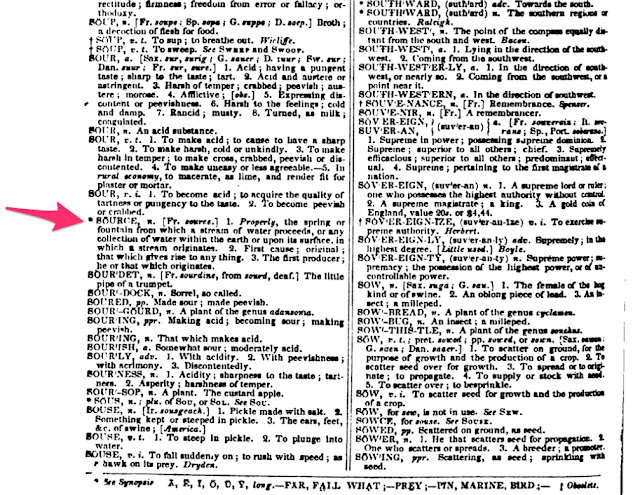 This anonymous article was the first salvo in the dictionary wars. Worcester replied with an article in the Palladium. 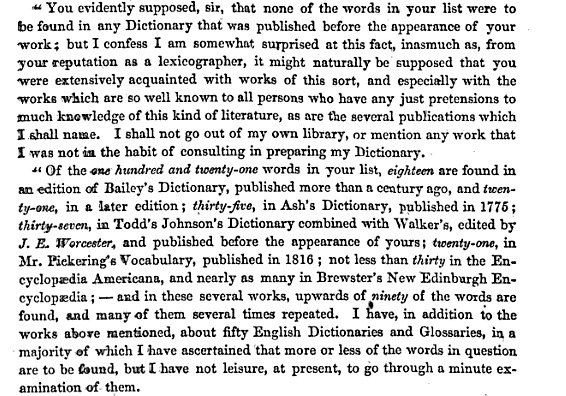 And Webster followed with an article in the same periodical listing 121 words that he accused Worcester of stealing from his dictionary. The dictionary wars went on for 30 years, first between Webster and Worcester, then between the Merriam brothers and Worcester. 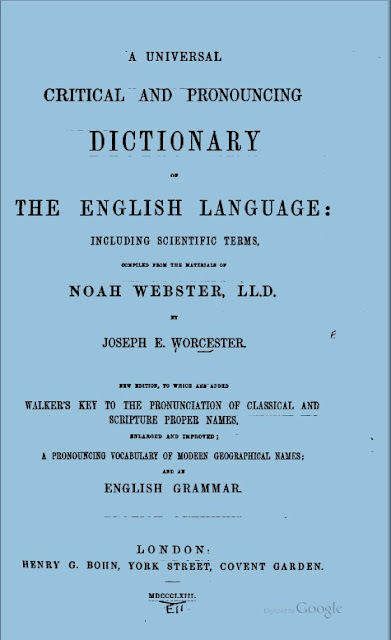 London book publisher, Henry G. Bohn, muddied the waters even more later by including Webster's name on the title page of Worcester's 1846 dictionary, Universal Critical And Pronouncing Dictionary. 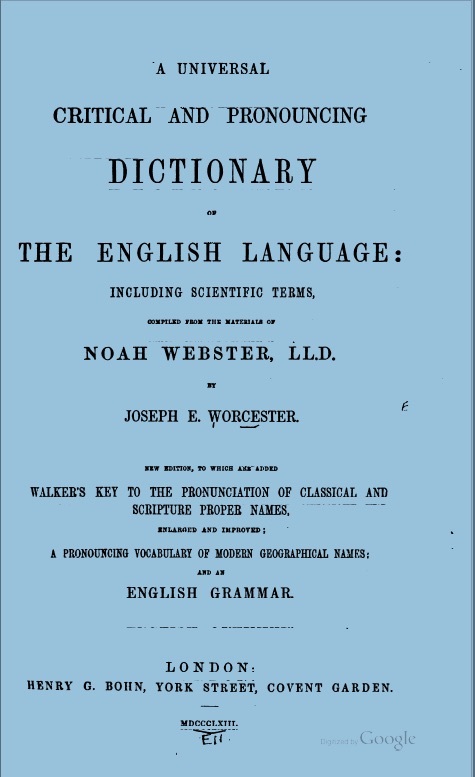 Bohn considered the dictionary to be an enlargement of Worcester's abridged edition of Webster's dictionary. Bohn continued to publish the dictionary with both Webster's and Worcester's name on the title page. In 1854, the Boston publishers, Jenks, Hickling and Swan, Worcester's publishers at the time, published two extensive rebuttals against all the charges against Worcester from Webster, the Merriam Brothers and Henry G. Bohn. The rebuttals included letters from Sherman Converse, who was still alive, and who provided a detailed account of his hiring of Worcester to abridge Webster's dictionary. 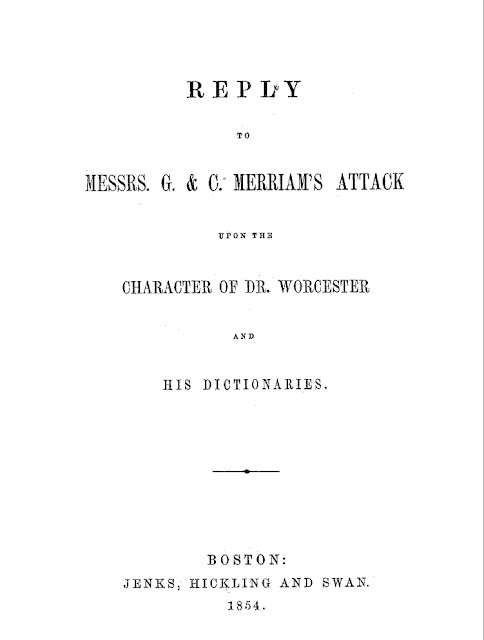 As to whether Converse hired Worcester for the Webster family, Converse stated that he was an "agent of no man." 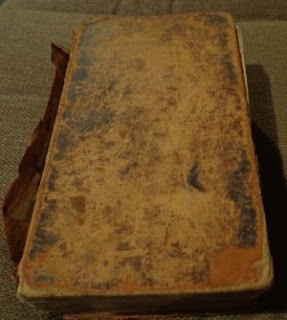 The rebuttals also included a letter from Chauncey Goodrich to Worcester, dated Nov 2, 1853. Goodrich had acted as Webster's representative in the abridgment of Webster's dictionary. 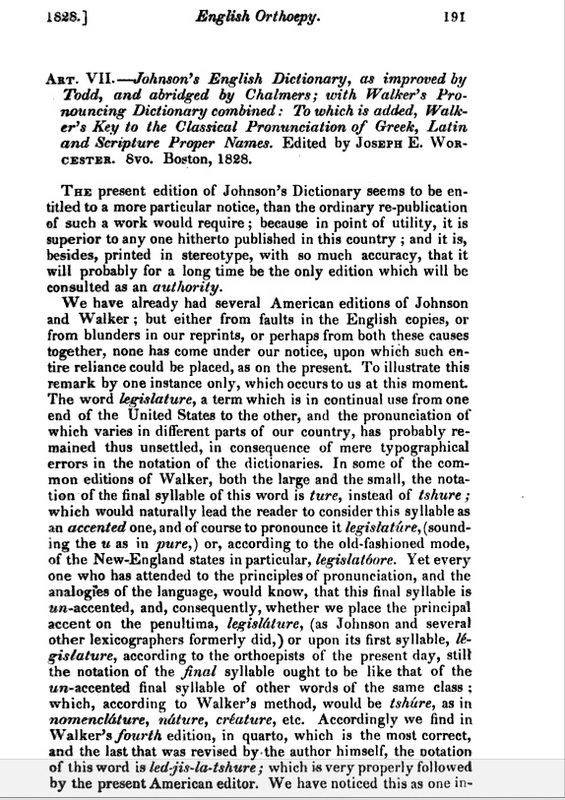 the October 1828 issue of The North American Review. 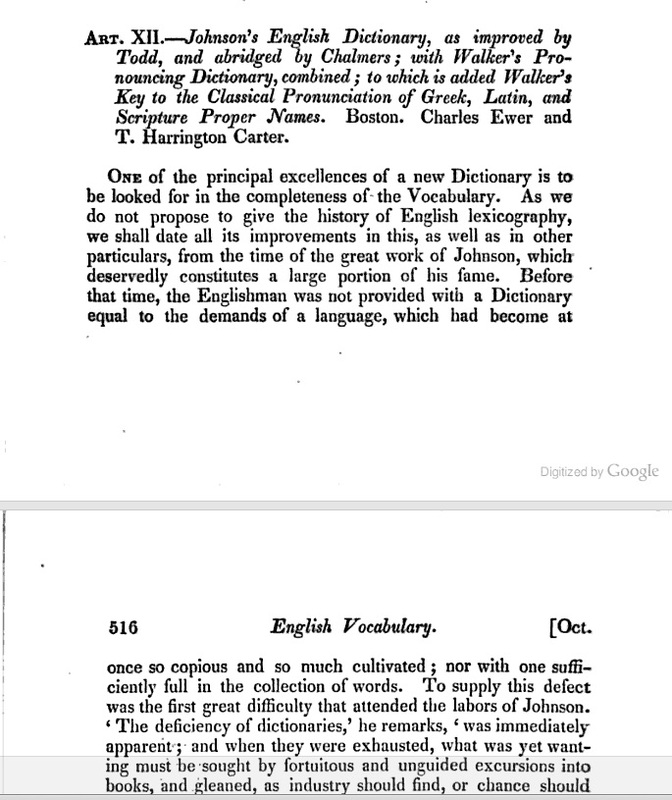 If you want to read more about my research of the publication of the two reviews of Worcester's edition of Johnson's Dictionary, as well as the publication of the pamphlet itself, you should read my Biblio-Researching blog post, A Preliminary Examination of a Pamphlet Containing Two Reviews of Worcester's Edition of Johnson's Dictionary.